Chicken Tikka Masala is a dish with roasted chicken cubes . Chicken chunks are marinated with yoghurt and spices for few hours and then slow cooked on tandoor . Later roasted chicken cubes are added to a spicy, creamy , onion and tomato masala . Succulent chicken pieces adds lots of flavour to this masala . Chicken Tikka marination for making Tikka masala is slightly different from that of regular Chicken Tikka . It is because the spiciness and flavours from chicken tikka is imparted to the masala. Hence chicken cubes are marinated with lots of spices and cooked. Later added into creamy gravy which gets flavours and heat from chicken tikka. Generally the masala / sauce in Chicken Tikka Masala is rich and creamy . 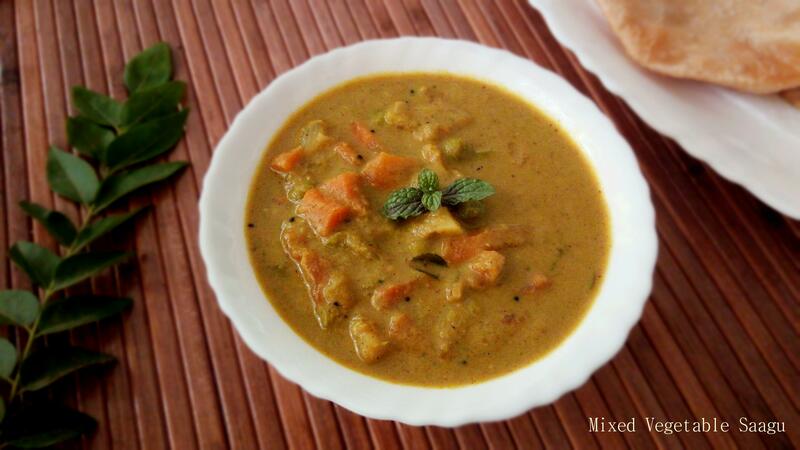 Mawa and fresh cream is added to the tomato based curry to make it more rich , creamy and saucy . But I have not used Mawa/ Khoya here instead cashew paste is used to give that nutty flavour and to thicken the masala. Recipe Courtesy : Sanjeev Kapoor , find the original recipe here. If there is a feast and need to serve for your clan on weekends , then replace cashews with mawa . 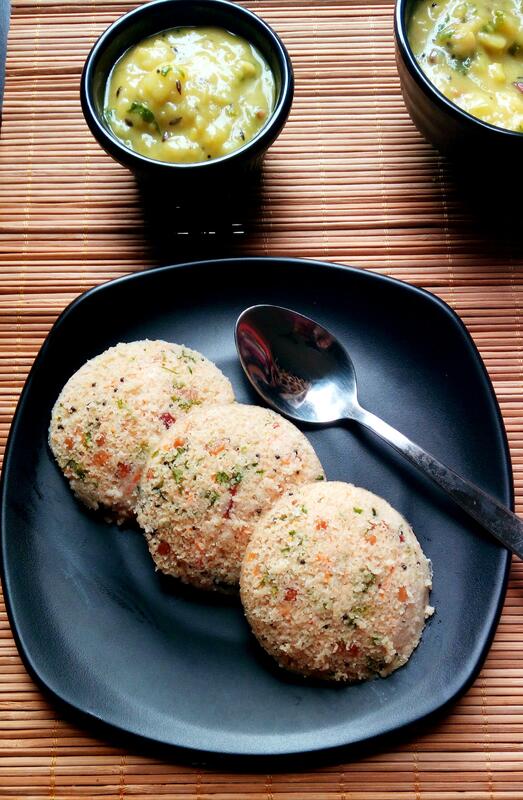 Adding mawa makes it more rich and delicious with more calories indeed. Occasionally you can indulge with such rich curries but for regular use adding cashews will make justice . Serve Chicken Tikka Masala accompanied with onion rings ,lemon wedges along side with Jeera Rice , Peas Pulao , Garlic Naan , Tandoori Roti or Phulka . Rinse and wash chicken cubes under running water and set aside for extra water to drip down. Place all the ingredients for marination in a bowl and mix well everything. Add cleaned chicken pieces into the marination , rub masala into chicken chunks. Close lid and allow marination to sit in refrigerator for minimum 90 minutes. Soak 15 whole cashews in warm water for 20 minutes.Blend cashews into fine paste and set aside. DeSeed 1 large Tomato and cut into cubes. You can use this pulp seeds while making Tomato Puree . Cut onions and Capsicum too into equal size cubes and keep it aside. Make ginger garlic paste from 10 cloves of garlic and 1 1/2 inch ginger piece and keep it ready. Finely chop 2 onions and set aside. Blend 3 large tomatoes to get 1 cup tomato puree and set aside. In a flat pan , heat 1 Tsp Mustard oil and add Chicken Pieces . Cook on a high heat for first 5 minutes , reduce the heat to medium and continue to cook. Alternatively , cook chicken in preheated convection oven at 200 deg celsius for 18-20 minutes. After 10 minutes , Check the chicken that is being cooked on pan /oven , turn the chicken pieces to other side and let it cook on other side too. Whilst , heat 3 tbsp of oil and add cubed onions. Once it turns translucent , add capsicum. Add cubed Tomatoes and also add 2-3 green chillies and saute on high heat , till cooked. Remove sauteed veggies on an absorbent paper towel and keep it aside. In the same pan, add 1 tsp of jeera seeds and allow it to crackle. Add chopped onions and saute well till it looks transparent. Now add ginger garlic paste and fry well , till the raw smell goes off. Add tomato puree and mix well . Also add turmeric powder ,red chilli powder and coriander powder and saute for a minute. When oil starts releasing from corners , add in 1/2 cup of water , salt and mix well. Add cashew paste and mix well ,bring it to boil. Now keep the masala in simmer , add 2 tbsp of fresh cream , give a quick stir . Add cardamom powder and kasuri methi to the masala and mix well everything. Now add in cooked chicken cubes and mix well. Finally finish the dish by adding in sauteed veggies ,mix well and garnish with coriander leaves and serve hot. Serve Chicken Tikka Masala with Jeera rice accompanied with lemon wedges and onion rings. Can replace cashews with 1/4 Cup of grated Mawa/ Khoya for a richer taste. It's a thick gravy , 3/4 cup water is sufficient . But you can add up to 1 cup to adjust the consistency. Add cleaned chicken pieces into the marination , rub masala into chicken chunks .Close lid and allow marination to sit in refrigerator for minimum 90 minutes. Soak 10- 15 whole cashews in warm water for 20 minutes. Blend cashews into fine paste and set aside. DeSeed 1 large Tomato and cut into cubes. You can use this pulp seeds while making Tomato Puree . Cut onions and Capsicum too into equal size cubes and keep it aside. Finely chop 2 onions and keep it aside. In a flat pan , heat 1 Tsp Mustard oil and add Chicken Pieces . Cook on a high heat for first 5 minutes , reduce the heat to medium and continue to cook. Alternatively , you can cook chicken in preheated convection oven at 200 deg celsius for 18-20 minutes. Whilst , heat 2 tbsp of oil and add cubed onions. Once it turns translucent , add capsicum. Add cubed Tomatoes and also add 2-3 green chillies and saute on high heat , till cooked. Remove sauteed veggies on an absorbent paper towel and keep it aside. In the same pan, add 1/2 tsp of jeera seeds and allow it to crackle. Add chopped onions . Saute onions till it looks translucent .Now add ginger garlic paste and fry well. Fry well till hint of raw smell goes off. Let tomato puree blends with spices and continue to cook. Finally finish the dish by adding in sauteed veggies ,mix well and serve. Serve Chicken Tikka Masala accompanied with lemon wedges and onion rings. I served it with Jeera Rice.